You can easily relate to PSD format if you are fond of image editing tools like Adobe Photoshop. But what if you want to open your PSD images outside Photoshop? Simply convert PSD to PDF. PDF is one format which is universally accepted and can be easily processed. With no hassles, you can easily access a PDF file anywhere. 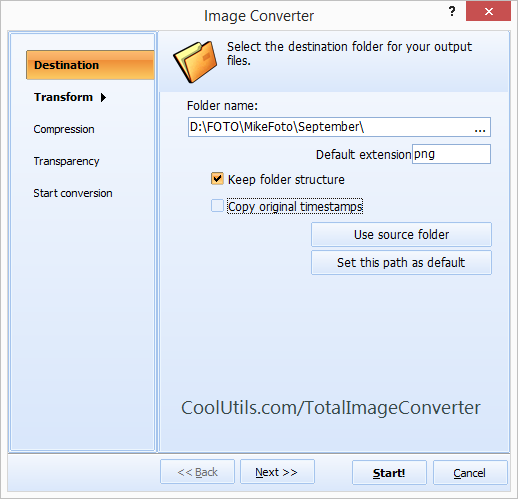 Thus, ruling the odds out, easily save PSD as PDF via Total Image Converter from CoolUtils. But how do you do that? How to convert PSD to PDF? As tough it may sound, it is as simple as that! Simply pick the PSD file you want to convert to PSD. You may select more than one file or an entire folder if required. Choose the desired format as PDF and click on to convert. That's it! Your PDF file is ready! 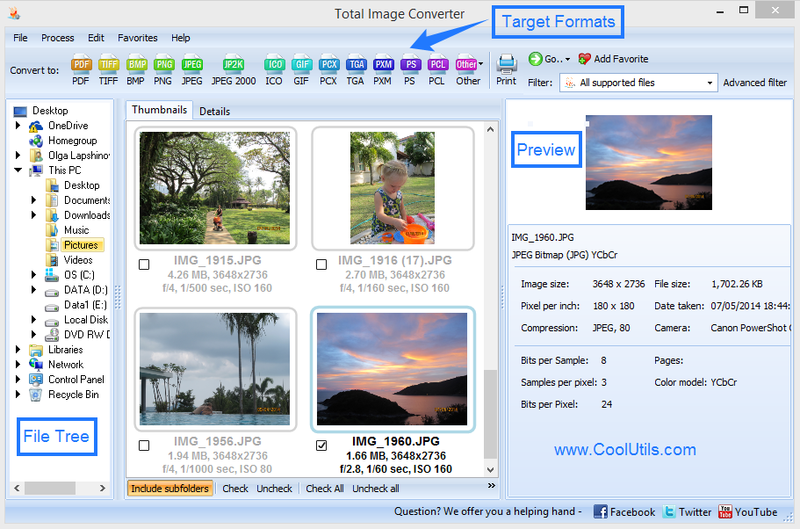 What more Total Image Converter allows you to do? From cropping images to deciding the orientation of the paper , rotation of images, deciding the size of paper and fonts, bookmarking the image, specifying the compression filter and a lot other tasks - this batch image converter addresses all your requests. The robust and easy to use interface is friendly and converts the PSD to PDF in splits of seconds. What more could you wish for? And yes, this PSD PDF converter is available at the low cost of just $24.90. You get to enjoy the free trial version of the image converter for a month. 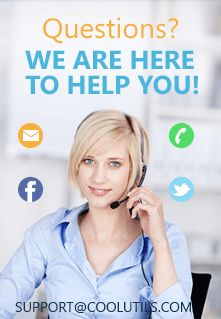 Once purchased, reap the benefits of free updates and tech support throughout.